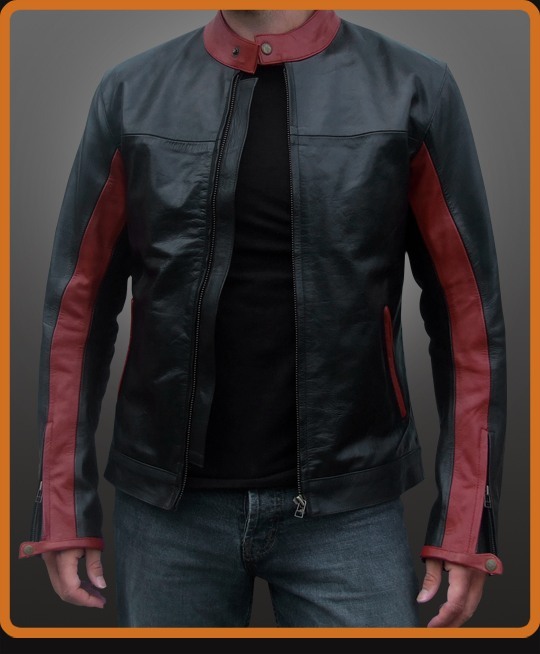 Men's leather motorcycle jacket replica from The Dark Knight movie. Inspired by Bruce Wayne/Batman character portrayed by Christian Bale. Red detailing on the front of the sleeves, the collar and zipper pockets makes this slim fitting jacket a real stand out. A good choice if you want to save the world from evil or just look like you could. Black Coffee with Red.